← Why am I even admitting this? 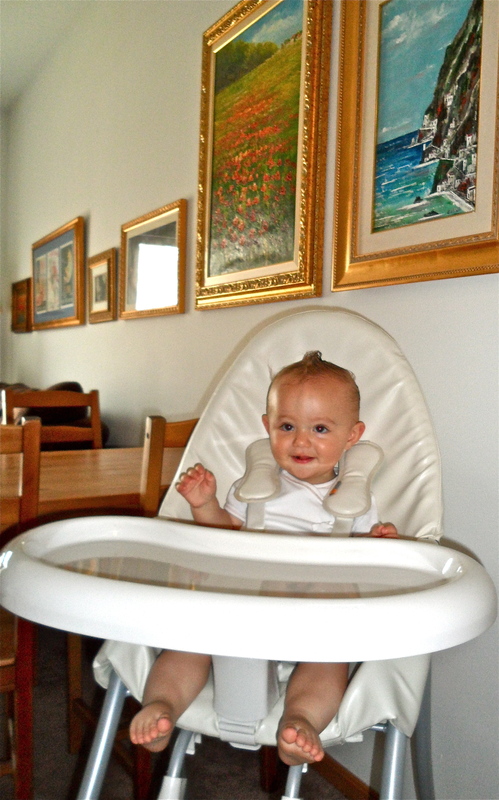 Today my review of the fabulous bloom nano high chair is published on Our Mommyhood; please stop by to read it. I would love to hear your thoughts! did you see the email sent earlier in the week? we had a hot topic post and bumped everyone by 1 day. your nano chair goes up tomorrow! Oh, originally my post was the 27th, so I thought the bump date was today, the 28th. I guess there was a little a little miscommunication! No biggie. My hair chair days are long gone, but you have the cutest baby ever. Why didn’t I marry an Italian? Don’t show this to my husband and kids please. Hahah. You are too funny. Your kids are adorable and sound hilarious! And thank you so much, I, of course, agree with you. Paolo is pretty darn cute.